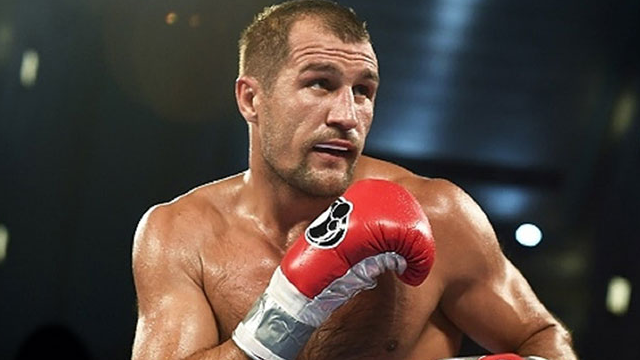 Sergey Kovalev showed that his August 2018 loss to Eleider Alvarez was a fluke as he recaptured the WBO light heavyweight title. In the main event of a Top Rank Boxing card in Texas, Kovalev easily outboxed Alvarez and became a three-time world champion. Kovalev won the title by unanimous decision (116-112, 116-112, 120-108). Kovalev’s gameplan was to pressure Alvarez with hundreds of punches and not allow the champion to get an opportunity to throw the overhand right. Kovalev was relentless with his jab, forcing Alvarez to defend which gave Kovalev the opportunity to throw hooks and get around his opponent’s defense. Alvarez managed to land several punches, especially to the body in the sixth and seventh round, but failed to capitalize on any brief momentum that he had throughout the fight. Kovalev didn’t look for the knockout and aimed to outwork and outbox Alvarez and it resulted in Kovalev regaining his title. Their first encounter, which took place in Atlantic City last August, saw Alvarez drop Kovalev multiple times in the seventh round, eventually stopping him. Kovalev was ahead on the scorecards at the time of the stoppage and soon after called for a rematch. In the co-main event of the card, lightweight contender Teofimo Lopez moved one step closer towards getting a world title shot after dismantling former world title challenger Diego Magdaleno. Lopez knocked out Magdaleno in the seventh round after dropping him in the sixth round. Lopez, promoted by Top Rank, could potentially be in line towards a title shot down the line against unified lightweight titleholder Vasiliy Lomachenko.